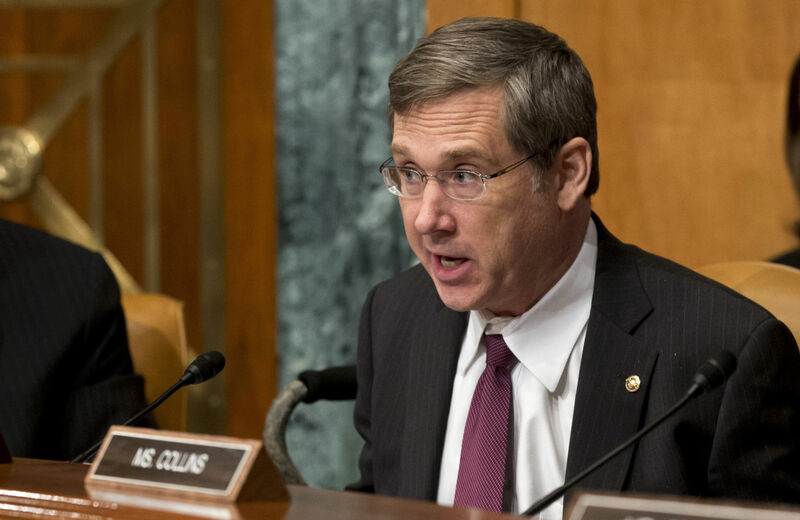 People associated with groups taking a hard line on Iran sanctions accounted for twenty-two of the thirty-six testimonies solicited by House and Senate committees. Last week, my colleague Ali Gharib and I published an article in The Nation in which we explored the influence of hawkish groups in shaping congressional legislation on Iran sanctions. One of the explanations we offered was the overwhelmingly large budgets enjoyed by hard line, pro-sanctions organizations such as the Foundation for the Defense of Democracies (FDD) and the American Israel Public Affairs Committee (AIPAC). Another, perhaps related, explanation lies in the frequency with which hawkish groups advise members of Congress at House and Senate committee hearings . 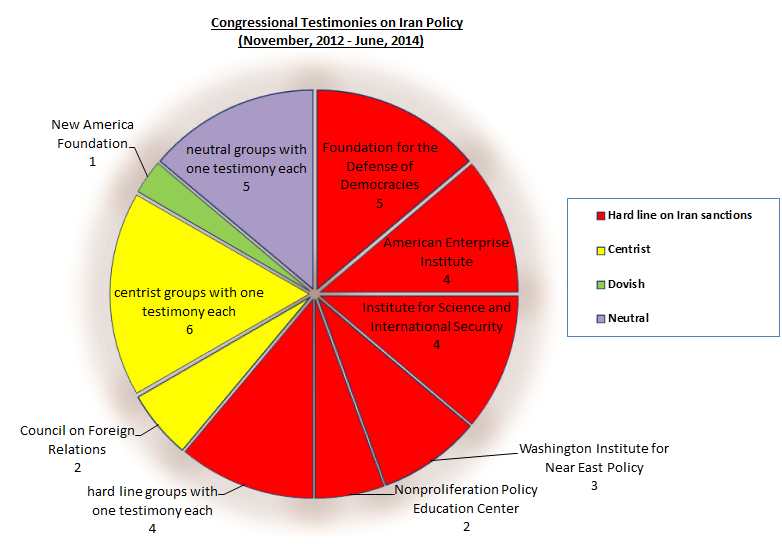 Since November 2012, eleven separate hearings on Iran policy have considered a total of thirty-six expert testimonies from outside groups. Of that number, two neoconservative organizations dominated: FDD fellows made five appearances, and those from the AEI had four. Neoconservative allies like David Albright, who co-chairs a nonproliferation group with Dubowitz and spoke before Congress four times in this period, also gave testimony. All told, people associated with groups taking a hard line on Iran sanctions accounted for twenty-two of the thirty-six testimonies solicited by House and Senate committees. Centrist think tanks, on the other hand, were underrepresented. Employees of the Council on Foreign Relations testified twice, while the Brookings Institution, the RAND Corporation, the Carnegie Endowment for International Peace and the Center for Strategic and International Studies fielded only one witness apiece over the period reviewed by The Nation. Experts from dovish think tanks hardly appeared at all: the only witness from such a group, Barak Barfi of the generally left-of-center New America Foundation, made one appearance. A pie chart, shown below, illustrates the outsize influence enjoyed by hawkish groups at committee hearings. Simply stated, hard line, pro-sanctions, groups are the most frequent outside voices invited to advise Congress about the White House’s Iran policy.